We need not emphasize on how the French have been the face of the luxury fashion brands from since the 19th century. Among those Frenchmen who were responsible for the fashion revolution, Bernard Arnault stands out for the reasons obvious. The man who owns Louis Vuitton, Christian Dior, Givenchy and Dom Perignon, some of the most precious French luxury fashion houses, is someone whose story is definitely worth knowing. It is probably a given that someone like that would be incredibly rich, because Bernard Arnault also happens to be the 13th richest man in the world. Also for the record, he is the richest man of France and one of the richest men in the whole of Europe. Arnault must have had business in his blood, what with his father Jean Arnault being a businessman who owned a civil engineering company. 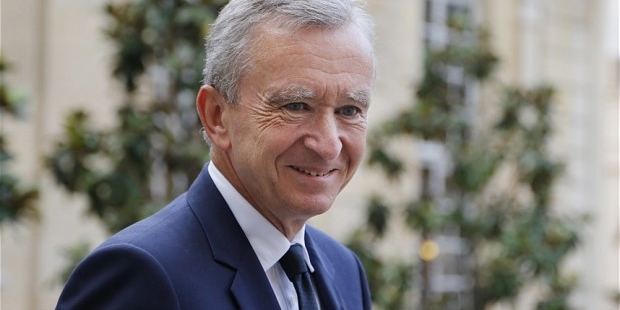 After getting done with his engineering in the year 1971, Bernard Arnault, as expected, joined his father’s business. Soon after, he brought about some remarkable changes to the establishment. He convinced his father to sell the company and from there on, they focused entirely on real estate, which was a wise move back then. By the year 1979, Bernard was already heading the company. He completely focused on holiday accommodation through his company until 1984. It was only then that the luxury clothing industry caught Bernard’s eye when he bought Financier Agache, which was by then already selling luxury goods. Shortly after that, he bought Boussac, a textile industry which wasn’t doing well and Boussac owned Christian Dior back then. And after Bernard took hold of Boussac, Christian Dior scaled to attain a glory as a luxury brand that it enjoys till today. Louis Vuitton came shortly after for Bernard and it was by acquisition that he owned the company, which was formerly LVMH. Arnault was known mostly for experimenting with his marketing. For instance, he could have dared to open the very first store of his in China when most of the population wasn’t even indulging in buying cars. Soon after that, Louis Vuitton spread through the world and today is one of the most loved luxury brands of the world. Bernard had the perfect blend of all the qualities that an ideal businessman should possess...he was calm, yet extremely clever and wise in his ways. While giving his designers complete freedom, he met the requirements of his customers. Although his son and daughter take care of most of the luxury brands that he owns as of today, he still is a hands-on entrepreneur who takes care of every single product that comes out his fashion houses. When we take a look at one of those gorgeous Louis Vuitton bags, we know that is the perfection right there.